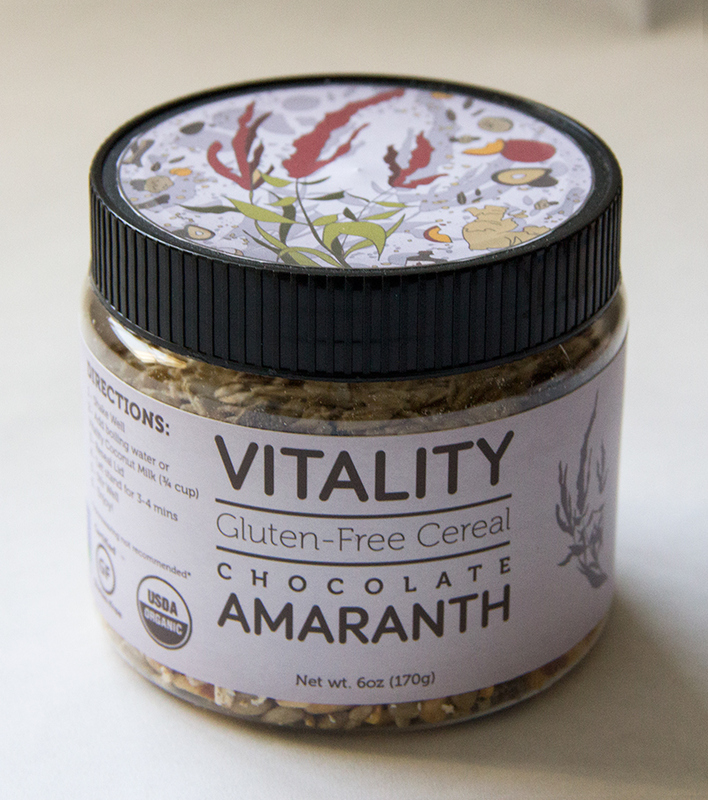 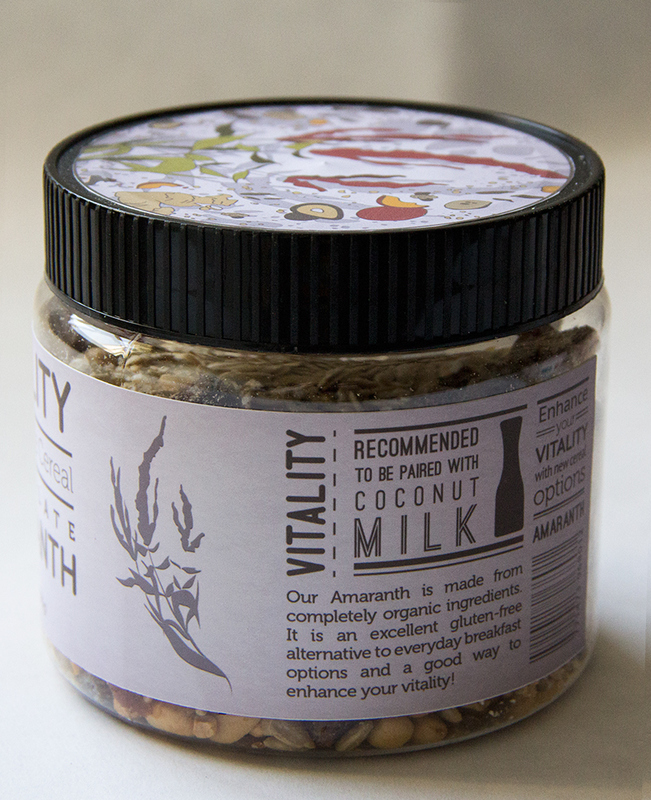 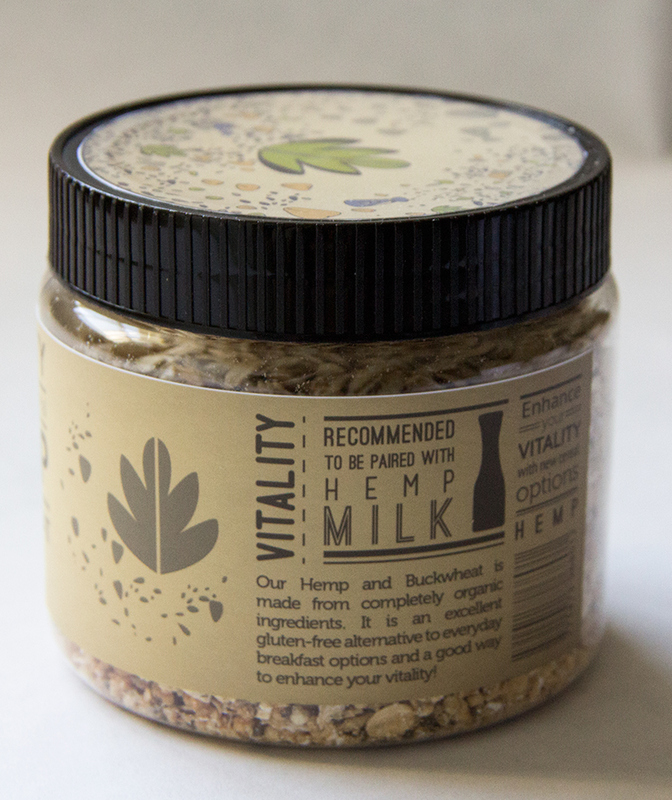 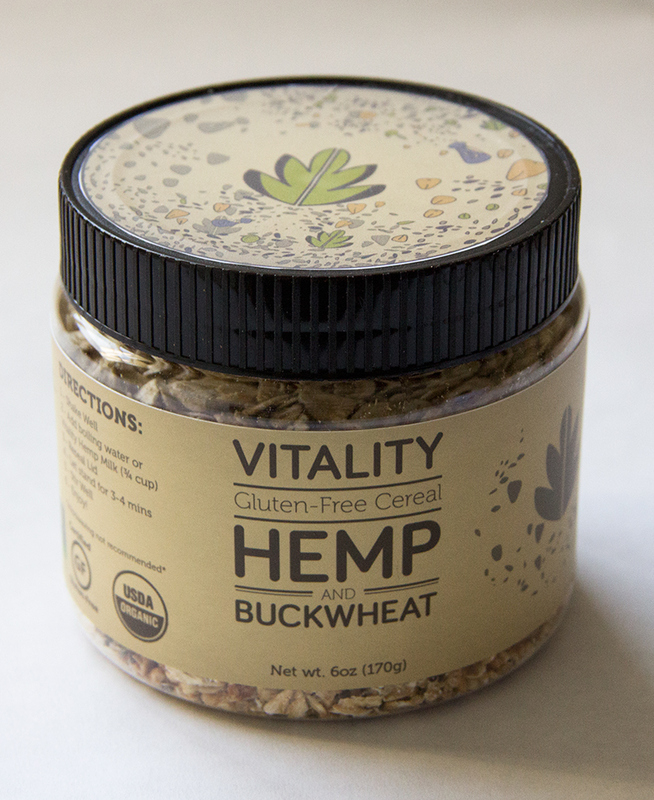 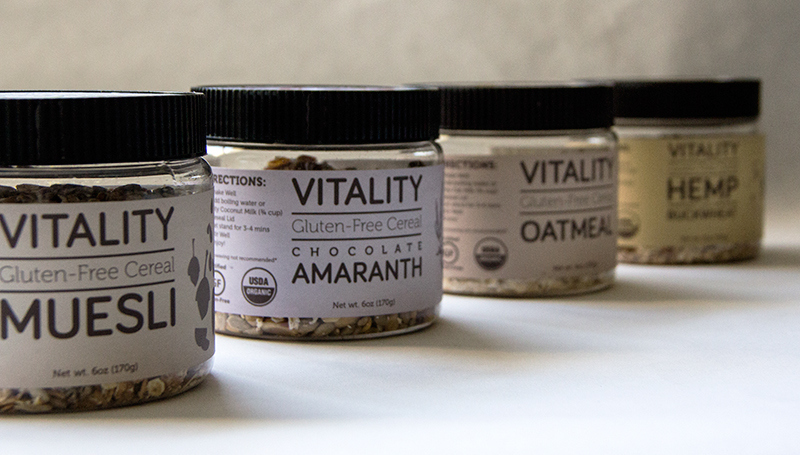 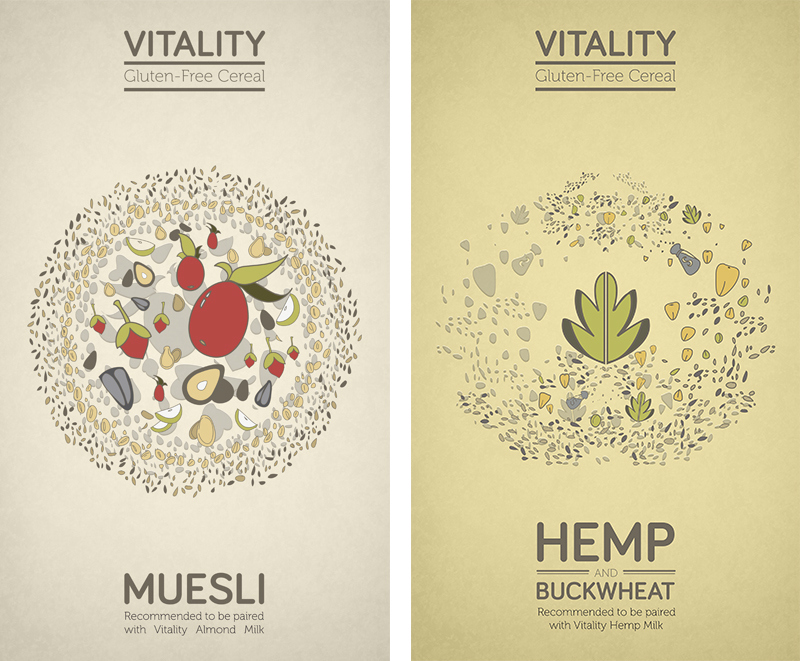 For my Senior Thesis, I extended my previous work with Vitality Milk, by also including a Gluten Free cereal product line. 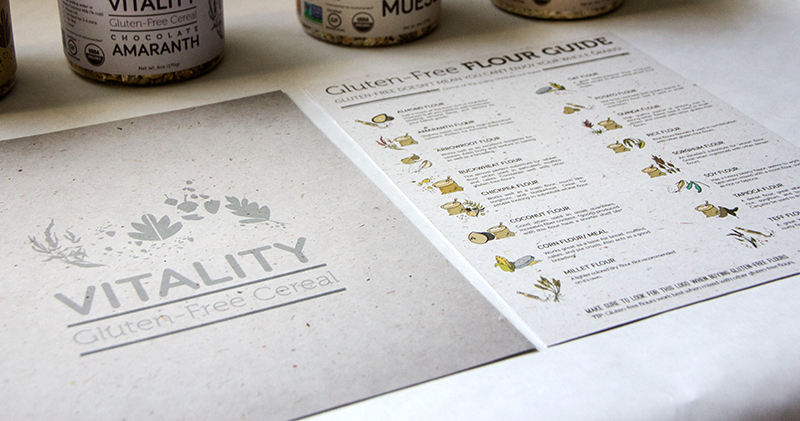 I wanted something to compliment my milk project, so I thought cereal would be perfect; and what a better way than to design for gluten free as well. 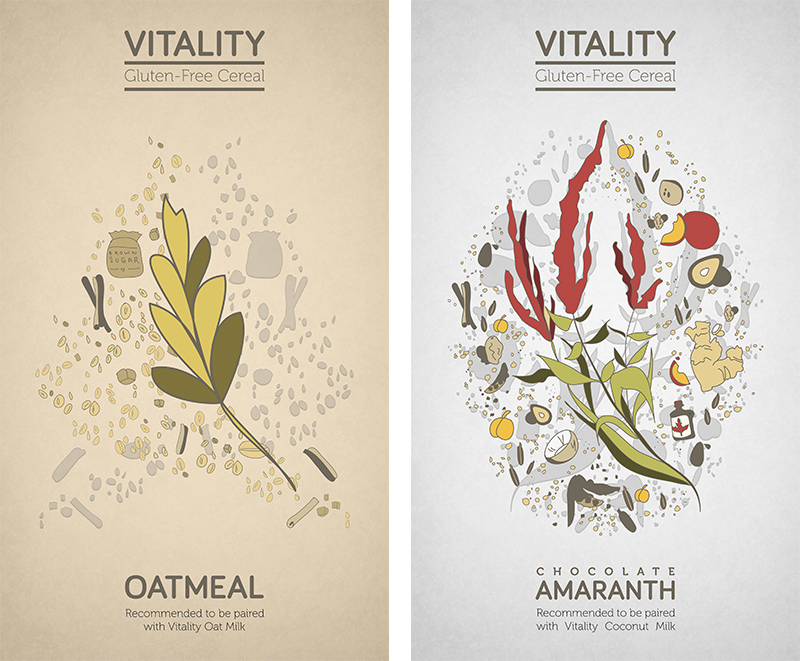 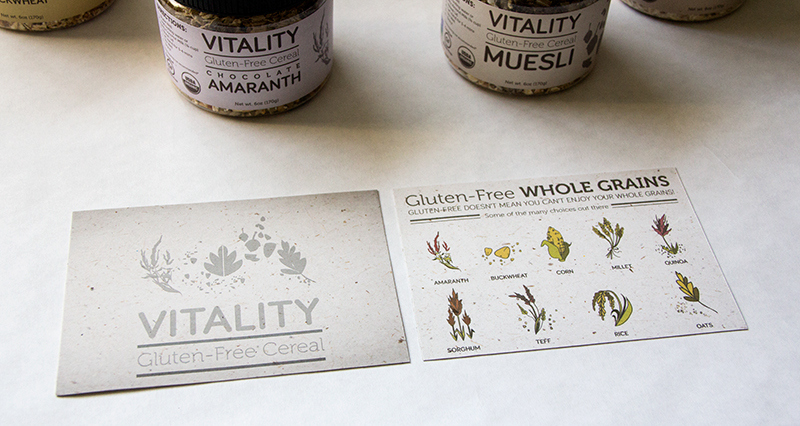 When designing the Vitality Cereal Brand, I wanted to mirror the same brand but in a slightly different light. 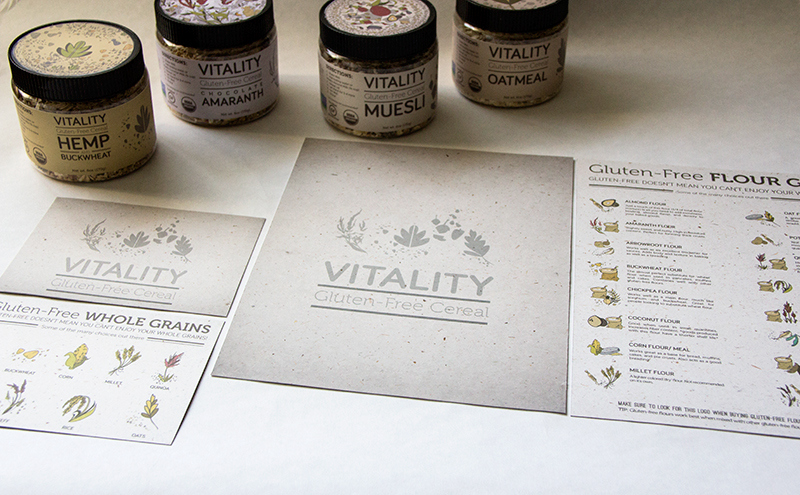 These designs were made to brighten up the shelves while showcasing my Illustrative style.